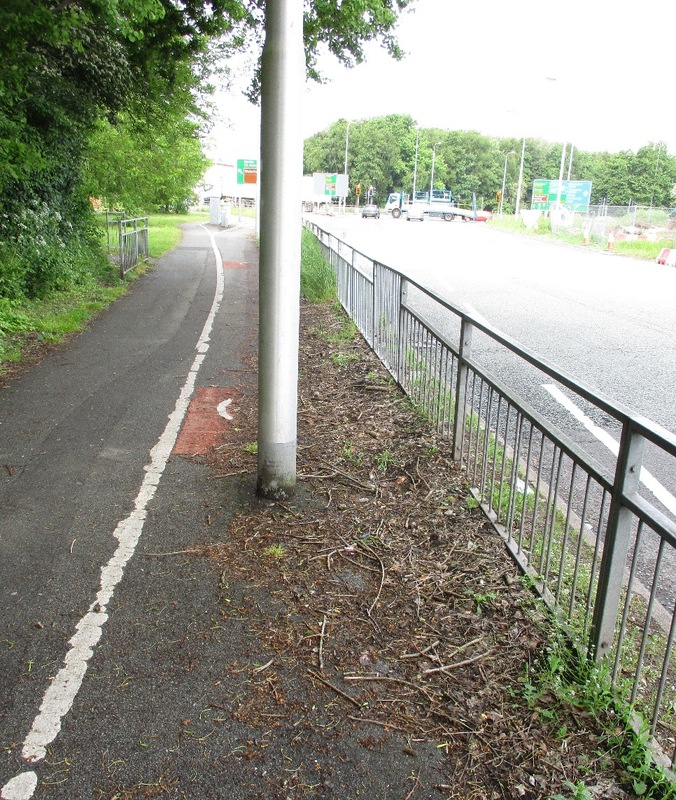 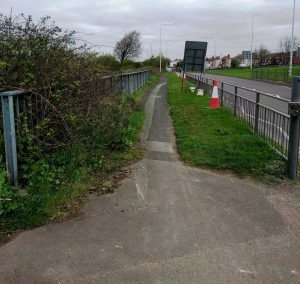 Switch Island – Why put a lamp post in the middle of a narrow cycle path? 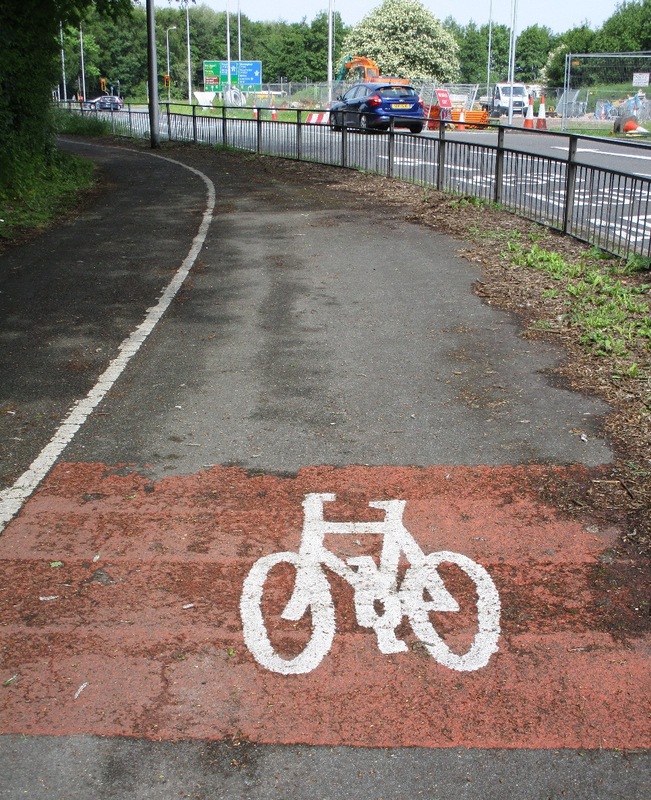 Alternatively, why paint guidance markings for a cycle path so that cyclists can’t actually use the path because there’s a lamp post in the middle of it? 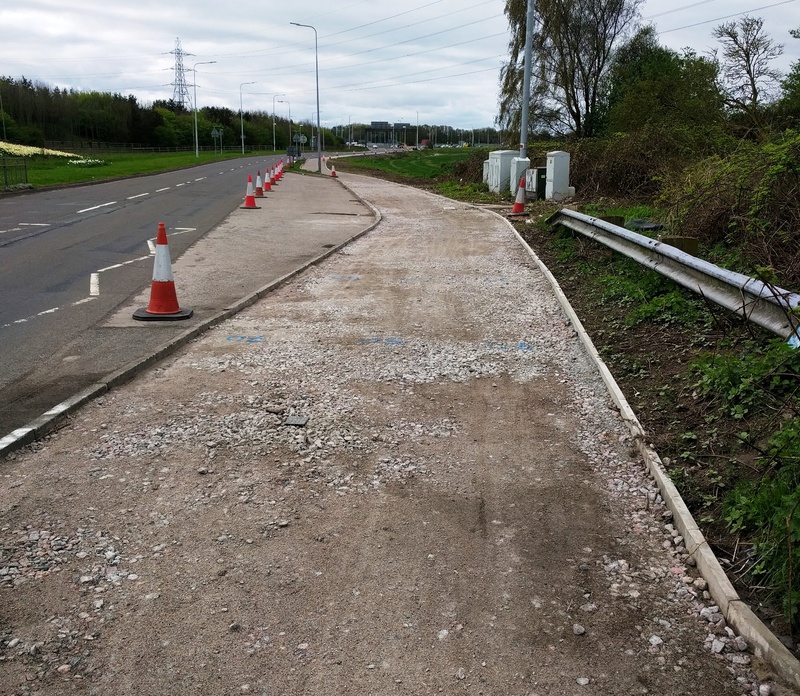 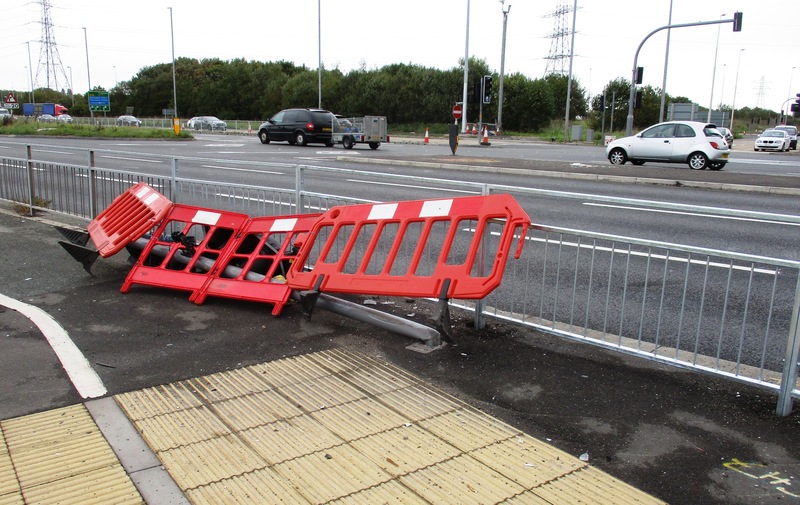 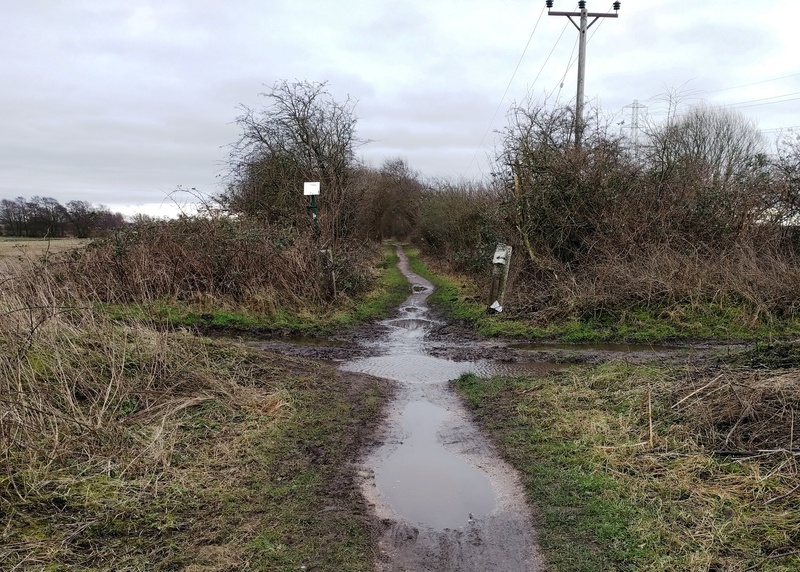 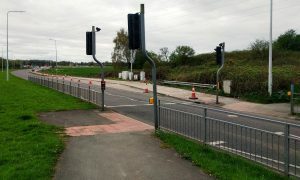 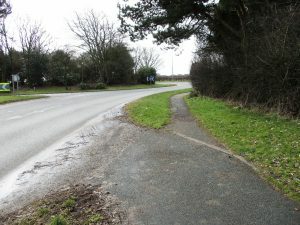 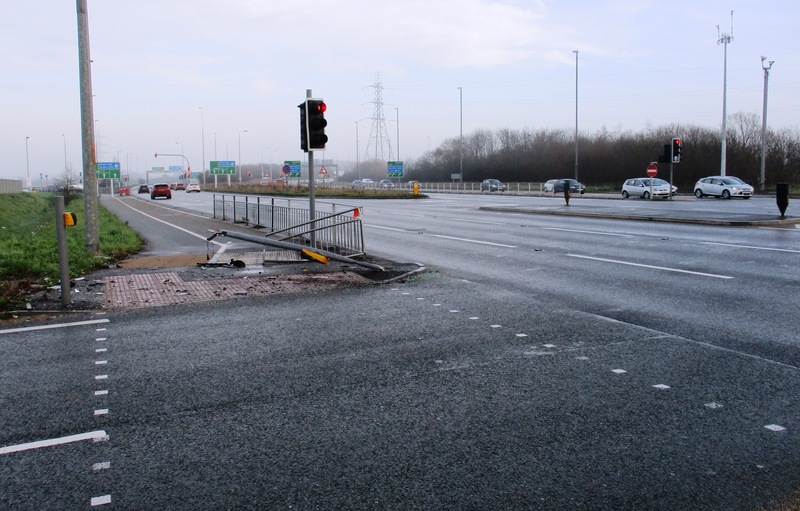 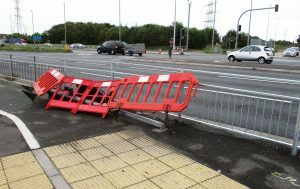 The following photos have been sent to Highways England who are responsible for Switch Island in the hope that they will consider addressing the error of their ways. 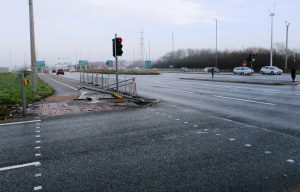 You see it’s not just vehicles that are led a merry dance around this infamous traffic island/junction. 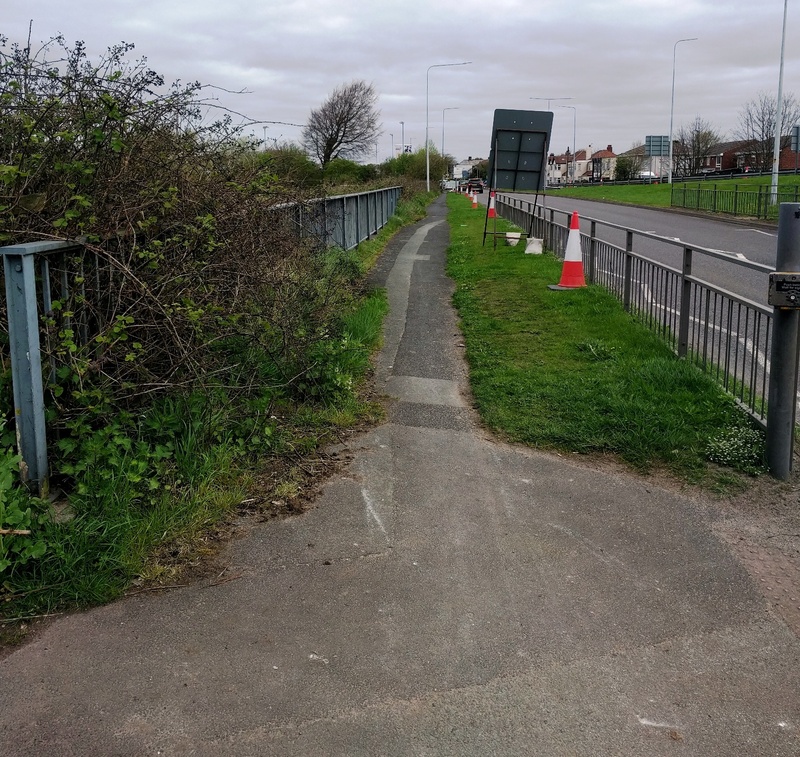 I have commented before about the narrow and completely inadequate cycle/footpath out of Maghull towards Switch Island and it seems someone has been listening as construction work on a much wider path has been taking place in recent weeks from Switch Island up to the pedestrian/cycle crossing just before the Maghull boundary. Of course what Maghull and Lydiate really needs alongside the A59 Northway is a safe cycle route from Switch Island through to Robins Island and Lydiate Parish Council has acknowledge this need in its draft Neighbourhood Plan.